This entry was posted in Canadian economy, canadian immigration, Canadian job market, Federal Skilled Trades Program, Federal Skilled Trades Worker, jobs and tagged Alberta jobs, Athabasca oil sands, Calgary Catholic Immigration Society, Enform, Fort McMurray, Oil and Gas Training Program (OGTP). Bookmark the permalink. I am from the UK & currently work in the oil & gas industry, as a hydraulic bolt tightening technician. I have around 6 years experience, on/offshore & over seas working. I am looking to emigrate to Canada to peruse my career further within the oil & gas industry, I am looking for any bolting positions or trainee programs to learn something new to gain more qualifications & experience to help me on the ladder to progress further in my career. Hi Wayne, I am in the same position and have been considering the move over to canada. Any information you get would be greatly appreciated. google searches don’t seem to dig much bolting work up. Iam Tamas Krassovari(28) from Hungary, I read your website and iam interested your trainee programs or jobs. Iam working sales representative in Coca Cola Hellenic Beverages Company for 9 years. My Relatives live in Canada and i’d like to migrate in Alberta Canada too. The training program will prepare job aspirants to get entry-level jobs in the oil and gas industry in Canada. Thanks for sharing this post with information about this training program, which is sure to benefit immigrants. I have been extremely interested in oil and gas jobs based in Canada as I have been recently introduced to such opportunities via the internet job searches. I have 2 years of experience in Saudi Arabia working with a waste oil treatment plant. I do not, however, have technical qualifications or know how for the kind of jobs in Canada, and so I am very interested in this program. My main roles in Saudi Arabia were operations management based (not technical per se), and as such, I need to add some technical experience to my resume which would aid my engineering academic background. 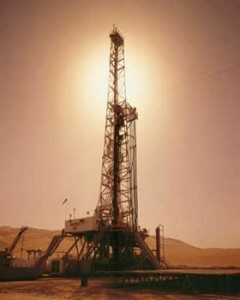 I am very keen on immigrating to Canada to start a career in oil and gas. If there are any opportunities available, I would be very happy to hear about them. Please communicate with me via my email. Your assistance would be very much appreciated as I look forward to starting a career in Canada. Program iam form ireland I am trying to get a job in the oil and gas industry on or off shore I have done several courses. Such as banksman slinger, rigger, Painting blaster, first aid, my Medical, MIST and BOSIET, working at height is this course for me to get me the experience I need. Thank you. Dear Sr, I am 38 male. from LIBYA. i have 12 years of experinece in oil field as a wireline crew chief, production tools maintenance tech, i am looking for a good oil and gas programs that helps me to work in Canada. as a chemical engineer from africa country i would like to know if there is any chance to make part of your training team specially in oil process . i am 27 years old. Am a chemical engineer from Ghana, i would like to know if there is any chance to make part of your training team specially in oil process . Hoping to hear from you soon. I am new immigrant. I have 22 years of experience and my last 5 years assignment is related to oil and gas sector which is unique in nature. I have served in extreme conditions which is an up hill task. You can please go through my linkedin profile on the mention above email and suggest or recommend me next course of action. I am an Instrumentation & Control Engineer, working currently in Doha, Qatar, having 3.5 Yr exp. wanna desperately work in oil,gas, petrochemical sectors. Looking forward for suitable entry level offers. I am a fresh graduate from the Oil and Gas Management bachelor program in Malaysia, I am interested to do my training in Canada, to enrich my knowledge and enjoy the culture of your beautiful country. My name is Wale and I am an oil trader.I am 37 years and married. I have 3 to 4 years experience on oil trading starting from engaging a client into chat on supply of cargo. I have experienced on how to import a cargo for a supplier or buying xyz tank in order for a supplier to back load from a leased storage tank.I have experienced on the processes of getting naval clearance, fiancial security such as LC (letter of Credit),import permit, vessel notification for vessel arrival at the terminal,hiring a vessel as well as preparation of profit and loss analysis and so on. I had my masters degree in Telecommunications and Networking at city university London. I want to relocate to Canada with my family and still intend to continue in my profession as oil trader in any of the oil and gas companies that trade in Gas Oil. I am seeking for an employment with an oil and gas company who could give me a work permit in order to be able to live and work their in canada. I am Mexican and have experience as warehouse clerk of parts and tools and have worked as Industrial safety officer at the Mazatlan thermoelectric plant and general construction work on the natural gas line in Mazatlan Sinaloa Mexico. Currently work in the Mazatlán’s thermoelectric plant as a general worker. I have about 6 years of experience, I am looking for a job opportunity and to emigrate to Canada to improve my knowledge and carry out my career later in the oil and gas industry, I am looking for any position or trainee programs to learn something new to gain more qualifications and experience to help me on the ladder to progress more in my career. Through your invitation I have the pleasure to present myself. My name is Glenn and I am an Electrical Supervisor with over 20 yrs. experience in the oil and gas offshore industry. I seek to bring my passion for technology and desire for success, coupled with my technical expertise and spirit of excellence to an organization that wants to grow and compete successfully in reaching their zenith in the 21st century. My attributes have offered me the opportunity to work on the international circuit. In the Gulf of Mexico with Hercules offshore, Singapore with Ensco PLC and with the Barbados National Oil Company (BNOC). I and my family have just successfully qualified and offered the opportunity to migrate, to study and work full time in Canada.. It will be my pleasure to submit my resume for your consideration. I look forward to hearing from you. I would like to migrate to Canada for a better opportunity and lifestyle change. I’m just completing my Rig Mechanic Certificate and looking for opportunities to gain experience. I am young motivated and eager to work.